In the last five years, the sects which support Erdogan in the elections have the significant influence on the Turkey’s top bureaucracy. In this writ, I will mention extremist preacher Nurettin Yıldız and his influence on the Turkish judiciary. Nurettin Yıldız, the president of the Social Fabric Foundation (Sosyal Doku Vakfı), had sparked a public reaction after he argued that marrying a 6-year-old girl is legitimate. In addition to this remark that caused outrage, Yıldız also said it is a sin to watch a woman news anchor on TV and that women should be grateful to be beaten, He released a video telling how to beat the women. In an interview with the state-owned Anadolu news agency, Yıldız voiced support for President Recep Tayyip Erdoğan, saying that it was a requirement of his faith to support the president. Yıldız also demanded a fatwa from Turkey’s Religious Affairs Directorate (Diyanet) suggesting that the members of Gulen Movement be executed, their opposing hands and feet be amputated or be exiled instead of keeping them in prisons. In a video published on July 25, Yıldız said the Religious Affairs High Commission, a body of the Religious Affairs Directorate responsible for issuing fatwas, must advise the Turkish government not to feed the jailed followers of Gülen in state prisons. “The Religious Affairs High Commission must speak up about this [Gülen movement] group. If it is not able speak against it, it must declare the basic criterion [to punish them]. For example, how the Quran punishes those involved in terror in Surah al-Ma’idah. It says ‘Kill them, execute them, order their opposing hands and feet be cut off or exile them.’ There are no prison terms. The Religious Affairs Directorate and its high commission must direct the government [for punishing Gülen followers]. This Muslim nation will have to feed those people [Gülen followers] for more than 20 years in prison. Thousands of people will be more of a burden to the state than a town is,” Yıldız said. Yıldız has connection with jihadist groups in Syria. Following the assassination of Russian Ambassador Andrei Karlov by a police officer in Ankara on Dec. 19, It was reported by the Hürriyet daily that the gunman, police officer Mevlüt Mert Altıntaş, had attended the sermons of Yıldız at Ankara’s Hacı Bayram Mosque. Though none of the ideas of this extremist preacher is reconcilable with civic society, equality of women and men, secular republic order, the rule of law, Yıldız has the nonignorable influence on the Turkish judiciary. Turkey’s the highest ranking judiciary bureaucrat, Selahattin Menteş who is undersecretary of the Justice Minister and chair of the State of Emergency Inquiry Commission, frequently retweets Nurettin Yıldız’s social media posts, pronounces his TV shows or sermons via his Twitter account. Mentes also retweets the posts of another extremist and lunatic figure Kadir Mısıroğlu who says anyone who does not vote for Erdogan is the infidel. Turkish judiciary under influence of extremist preachers such Nurettin Yıldız has been acting not in accordance with the rule of law but Erdogan’s religious rhetoric and ideology. Turkish judiciary under the influence of extremist preachers such as Nurettin Yıldız has been acting not by the rule of law but Erdogan’s religious rhetoric and so-called favor of the Islam ummah. As lawyers, we have witnessed some top-ranking prosecutors who said we don’t regard the rule of law and the legislation in force but the favor of the Islam ummah. 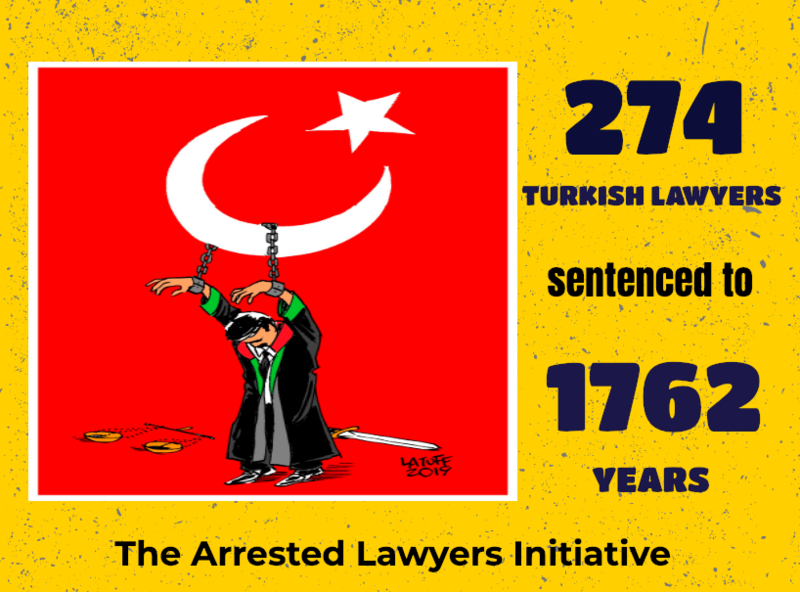 Under these circumstances, in Turkey, there is no domestic remedy for the dissents of the ruling party AKP.